Special discounts are for all the pre-april 2019 harvest. Free shipping for +100 USD packages! Note: here you will see the original prices, but when you place an order I will subtract the 20% discount (for jaboticabas, guabiroba, acerola, guaporetí, pitanga, COTRG) on the final price of the seeds, and then the shipping cost is added if the order total does not exceed USD 100, if it exceeds USD 100 the shipping cost is free. * Arazá serrano (Psidium longipetiolatum) (march 2019) Very rare psidium, similar to strawberry guava but hardy to -7 or -8º C, bigger leaves and taller tree. I like it more than strawberry guava: deeper citrusy taste. This is my favourite Psidium now along with P. robustum and hybrid Psidium; it has stronger taste. Climate: tropical, subtropical, temperate. * Early bearing Guabiju (Myrcianthes pungens) . Very hardy species, -10º C frost resistance, sweet fruits (up to 24º Brix) with orange pulp and a lot of antioxidants. This variety produces sweet big fruits in 4 years. * Arazá rastrero (Psidium salutare var mucronatum). The fruit has a tasty sweet and a bit acid pulp (mix of grapes, apples, pear, pineapple) and the plant grows as a small shrub, being the only Psidium native of my Province of Buenos Aires (Tandil), so it is frost hardy up to, at least, -6ºC. This one in particular produces big fruits up to 3.2cm diam, while the normal size is 1.5cm diam. * Cambuizinho vermello (Myrcia selloi). Very rare species from the Myrtaceae family, native to Brasil, Argentina and Uruguay. Very sweet taste, spicy in the end. Excellent beekeeping plant, it likes full sun and it can grow for many years in pots. * Black Eugenia Repanda . Climate: tropical and subtropical. This small and hardy bush likes shade and bears small cherry like (acid and sweet) fruits, it could be in full sun, semi shaded spot or full shade: it will fruit anywhere. Frost resistance: -6ºC. I have a very rare variety: ripe fruits are almost black! Normally, Eugenia repanda use to be red. * Out of stock Sweet Uvaia (Eugenia pyriformis) Climate: tropical and subtropical, 3 to 4cm diameter, Nice perfume and taste, juicy and sweet (12º Brix). Good to eat raw or to make juice, mermelades, icecreams, jams, etc., ONLY 30 SEEDS IN STOCK, max order 5 seeds per customer. * guabiju (Myrcianthes pungens) . Very hardy species, -10º C frost resistance, sweet fruits (up to 24º Brix) with orange pulp and a lot of antioxidants. * Out of stock Sweet Ubajay (Eugenia myrcianthes) Rare species! The common ubajay is acid. Frost resistance: -9º C or so. Wet seeds in vermiculite. * Sweet "Ubajaymi" (Eugenia myrcianthes) Very Rare species! The common ubajay is bigger and more acid. Frost resistance: -9º C or so. Wet seeds in vermiculite. Fruits 3cm diameter. Total stock: 87 seeds (26 Nov.). On stock 16 feb, few seeds. * Guabiroba (Campomanesia xanthocarpa) Pulp is juicy and sweet (almost no acid taste), remembering uvaia but with a very spicy skin, very good taste overall. Frost resistance: -6ºC. You can make an anticholesterol tea with its nice smelling leaves. Very nice flower perfume. Wet seeds in vermiculite. 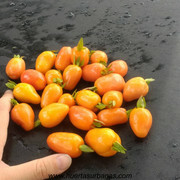 * Yellow/Orange Acerola (Malpighia emarginata) Sweet & acid taste, tropical, frost resistance -2ºC. Very high vitamin C! Wet seeds in vermiculite. * Red Acerola (Malpighia emarginata) Sweet & acid taste, tropical, frost resistance -2ºC. Very high vitamin C! Wet seeds in vermiculite. * Jaboticaba de Posadas (Plinia sp.) . 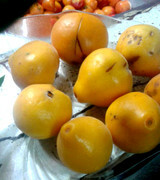 Sweet and acid tasty fruits, similar to Sabará, 1 to 2.7 cm diameter. This native species from Posadas, Misiones resist at least -5º or -6ºC frosts (21º F). Wet seeds in vermiculite. * Guaporetí (Plinia rivularis) Fruit is sweet and not acid, similar to guabiju in that regard, the dark brown skin is tasty similar to jaboticaba but not acid, and the pulp taste like guabiju and multifruit juice (banana, orange, apple, peach, jaboticaba), it has a personal taste, very good. One seed per fruit, rarely two. Frost resistance: -6º C, very hardy species. NOTE: the collector sent me these seeds telling me that they were from the ultra rare Myrciaria sp. from Paraguay (I have some trees from that species but not fruiting yet! ), but in fact the seeds are from Plinia rivularis, a rare but known species. I am accepting payments now. I traveled 600 Km just to get them! * Very rare ORANGE Eugenia aff. involucrata (or Eugenia sp. ); taste is very good but not like Cherry of the rio grande (and not a cherry taste), to me this is another species; it tastes more like apricot but with tones of mango, orange, pitanga and uvaia. On stock! * "Eldorado" big red pitanga (Eugenia uniflora) ; taste is sweet and acid, from Eldorado, Misiones, Argentina. On stock now! * Junin black pitanga 2 cm diam. (Eugenia uniflora) ; taste is strong, sweet and acid, from Junín, Argentina, one of the best Eugenia uniflora to me. On stock! * Junin red pitanga 2 cm diam. (Eugenia uniflora) ; taste is very sweet, from Junín, Argentina, one of the best Eugenia uniflora to me. On stock! Updated 15 march 2019 Adding the very rare Psidium salutare! * Arazá serrano ( P. longipetiolatum ), very tasty rare species, robust tree, bigger fruits than strawberry guava, less perisheable. 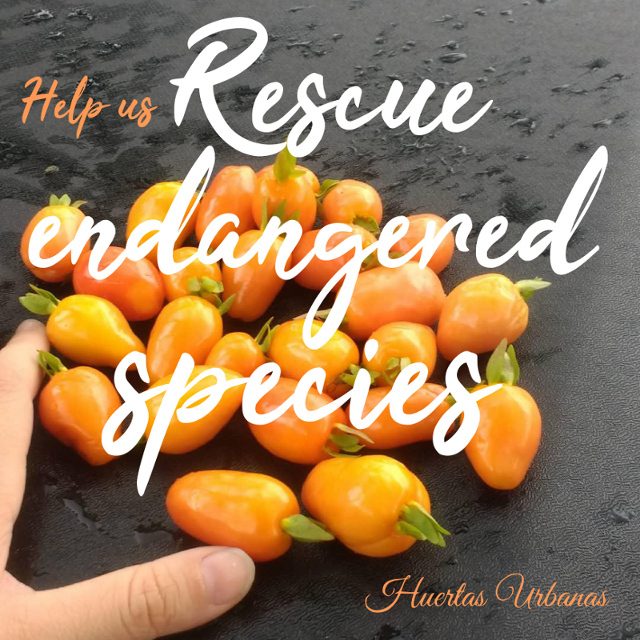 Re: Uvaia, guaviyú and cedar bay cherry seeds for sale! I think guabiju is sub tropical is it right sir? Yes, right, I dont know if it produces in very tropical climates, but there are a lot of trees at Brasil and they bear fruit. Here in my place kerala hot temperature ranges 35 degree to max 40 degree but cold temperature Maximum is 22-25 degree is it possible to fruit? I Think Rio de Janeiro is tropical it fruited in there? I can say that the majority huertasurbanas seeds are very good and grow very well for me when I bought last year. Very thanks! We had some problems with the shipping (too much time and so on) but I will mail again 2 or 3 mails with seeds that didnt reached the destination yet. I want to report that all the uvaias actually on the trees are sold, but there should be another harvest in 4 to 6 weeks from now. We will have pisidium guyanense (not p. guineense! 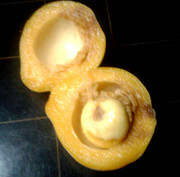 ), a very rare unknown psidium, tasty and sweet, in some weeks. Fruits are ripening fast. It seems that in 1 month or so we will have hundreds of uvaias, this species really needs water to hold its fruits!!! do yoyu ship to Russia? Guabiju needs a bit if light to sprout, maybe they will sprout into the package, but if they doesnt, sow a bit buried into your soil, water but dont drown them... they need an humid soil, dont drown while sprouting... then, when there is a plant, you can water more... their natural habit is near the rivers. In any doubt, just PM me or mail me, thanks. Re: Selling: borojoa, araçá-una,e. repanda, uvaia and others. New seeds and species, fresh janyuary 2018 harvest, please let me know if you are interested in cocona (solanum sessilimflorum), averrhoa bilimbi, tamarindus indica, dovyalis hebecarpa, physalis peruviana or solanum quitoense and I will put a price for them too. Alibertia patinoi, commonly known as borojó, is a small (2-5m), dioecious tropical rainforest tree. It is one of the few of the Rubiaceae family that has edible fruit. It grows in the northwest area of Colombia in the Chocó Department and in the Esmeraldas Province of Ecuador, in areas of high humidity and temperature. Hello. I am curious. Did you grow and fruit Albertia Patinoi aka Borojo in Argentina? How easy is it to grow outside it's native climate range? Hi, no no, I sow many of them yesterday because I received fresh seeds from a friend at Ecuador. I am selling the rest of them. I think this species would be fine just in the tropics. But I will try to keep them warm into my house by the winter (as I do with biribá, guanabana, jackfruit and others). Interested in arranging a purchase. I can't see an option to inbox you. Can you send me a PM please. PM sent, we can use mail or whatsapp too (54 2364544750). I sent 4 mails today, Ukrania, USA, Korea, Australia. I am harvesting new uvaias now and watching the psidium guyanense and psidium eugeniaefolia getting ripe; for eugenia repanda we should wait till the end of feb. There will be a few natal plum and maybe rollinia sylvatica too and other species (orange tamarillo, many guavas, psidium australe and others). Cedar bar cherries are still producing. Re: Selling seeds: araçá-una, psidium guyanense,e. repanda, uvaia and other rare sp. Marcos, your Guabiju fruited in just four years?! How tall is that tree? To my knowledge, Guabiju usually fruits only after 7-8 years. By otherside, I read somewhere that in Uruguay and Argentina exists a var that can fruit when just in 1m tall. Do you know that var, or... is yours that var?